Dustin Christensen and Scooter Carusoe perform during Carnival’s “Barnival” songwriter happy hour. Carnival Music has launched a new performance space, dubbed Barnival, where the company will feature monthly writers rounds with their writers and special guests. 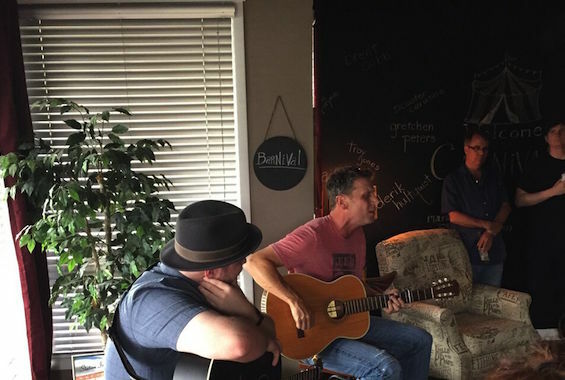 The first Barnival songwriter happy hour round took place July 14, and featured Carnival writers Scooter Carusoe and Dustin Christensen. The crowd was packed with writers, producers and publishing executives including Paul Worley, Kos Weaver, Forest Glen Whitehead, Sony’s Maragret Tomlin and Erik Peterson. “It was so great to see Scooter, who has been such an important part of Carnival since our inception, sit right next to one of our newest writers, Dustin Christensen, and show people what Carnival is doing and that the song still matters,” said Carnival Music’s Frank Liddell. Keith Stegall‘s Dreamlined Entertainment Group has announced a joint venture with celebrated Prescription Songs (Katy Perry, Diplo and 50+ others) on the signing of writer/artist Kevin MaC. Virginia Beach native MaC’s first single “#Winning” is forthcoming. Promotion efforts will be helmed by Star Farm Nashville. Stegall launched Dreamlined Entertainment Group earlier this year and last month announced a partnership with Star Farm Nashville to handle promotion and artist development for the company. (Top, L-R): Rachel Cunningham, The Collective; Julia Grimoldi, Sony/ATV and WMBA Secretary; Dana Lalevee, NSAI and WMBA President; Katie Word, Sony/ATV; Nina Schollnick, Belmont Student; Macke Rodamaker, Belmont Student. 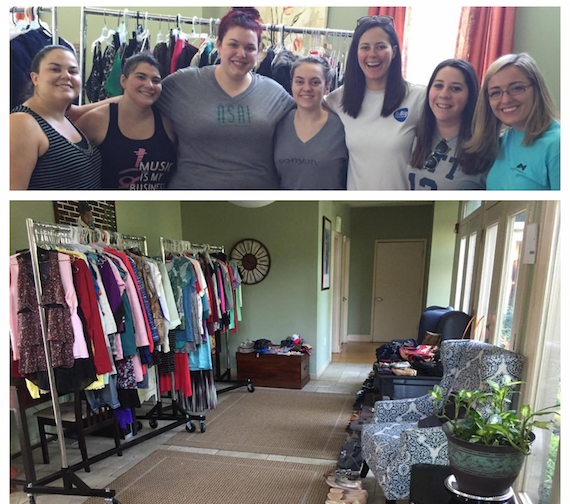 The Women’s Music Business Association (WMBA) sponsored a clothing drive and hosted a free shopping day for residents of Thistle Farms on Saturday, July 9. Donations were collected from the music industry community, including large donations from Big Machine Label Group and Sony/ATV Music Publishing, as well as individual WMBA members and others who saw our information posted on social media. WMBA also donated a new television set for the residents to enjoy. Thistle Farms is a community of women who have survived prostitution, trafficking and addiction. It includes a residential program and social enterprise for survivors and an education and outreach program for the public. The social enterprise includes a Bath and Body Care Line,Shared Trade Global Marketplace, Thistle Stop Cafe and The Studios Workshop. To learn more about Thistle Farms visit thistlefarms.org.